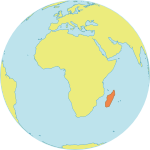 The post of the Programme Specialist, Head of Office is located in the UNFPA Decentralized Office in Tulear, southern part of Madagascar. Under the guidance of the Representative and direct supervision of the Deputy Representative, the International Programme Specialist plays a leadership role in coordinating and managing the Tulear Decentralized Office and UNFPA related thematic interventions in the southern regions. He/she substantively drives the effective achievement of UNFPA programme activities in the area of sexual and reproductive health and rights, reducing maternal mortality and accelerating progress on the ICPD agenda and SDG’s toward ending maternal death, unmet FP needs, GBV and harmful practices by 2030. This includes ensuring linkages with the areas of population and development and gender equality and rights; specifically in the context of women and young people (including adolescents. Particular attention is paid to family planning, emergency obstetric and neonatal care, strengthening of maternal health system, reproductive health commodity security, HIV and AIDS, and Fistula at decentralized level. The Head of Decentralized Office in Tulear establishes and maintains collaborative relationships with counterparts in government, multi-lateral and bi-lateral agencies and civil society to address emerging issues and to facilitate programme delivery. He/she must effectively influence counterparts and work with networks, including civil society, to advance the ICPD agenda, through partnerships and national capacity strengthening, as well as other approaches such as south-south cooperation. ⦁ Advanced University Degree or equivalent in public health, medicine, sociology, demography, economics, social sciences or other related field. ⦁ 7 years professional experience in the field of population and development activities; preferably in programme/project management in the public or private sector (at national level). ⦁ Experience in working with government institutions, NGOs and/or donor institutions. ⦁ Conversant with international frameworks and policies on reproductive health (particularly maternal health and adolescents and youth) and other population issues and their linkages with changing global environment. ⦁ Good knowledge of programme formulation and implementation mechanisms of the United Nations country programmes and familiarity with UNFPA programmes and policies. ⦁ Proven ability to lead and manage teams to achieve demonstrable results. ⦁ Excellent written and communication skills to foster engaged partnership at high level representation. ⦁ Field experience is a strong asset. ⦁ Proficiency in current office software applications.